Naruto to Boruto: Shinobi Strikers might be a weird online multiplayer battle arena game instead of a traditional fighter, but it does one thing those other Naruto games don’t. It lets players make their own ninja. You can never have too many. Sure, there are dozens and dozens of characters in Naruto that players are perfectly happy to step into the booties of, but what about all those sketches and self-insertion fanfics? What about Faheyto, the future tenth Hokage of the Hidden Leaf village? Or Chalupa, Choji and Karui’s non-canon third child? We can do all that and more, thanks to Shinobi Strikers’ create-a-ninja feature. Officially called the Avatar system, create-a-ninja allows players to make their own master of the hidden arts. First they choose an appearance, picking their hair, mouse, eyes, nose and other bits. 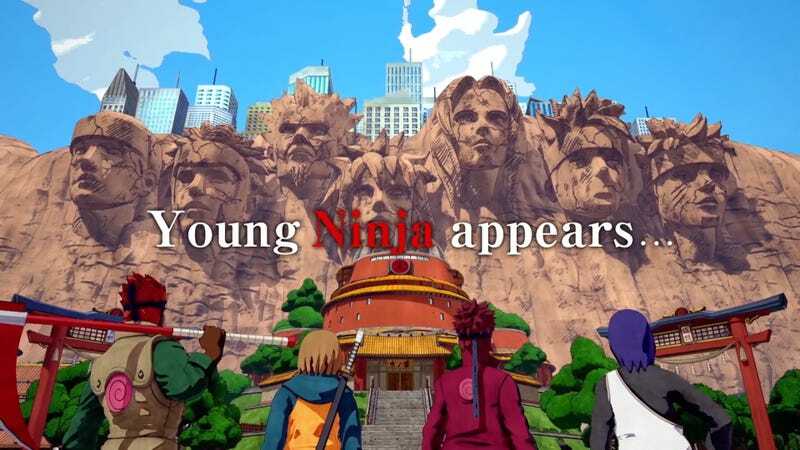 Then they pick a role (the game is class-based), a weapon, a costume and choose from a selection of the finest Jutsu (ninja powers). Once finished, custom characters will be able to fight alongside their favorite characters, including the newly-announced Boruto, Shikamaru, and Choji. Thank goodness they included Boruto in a game with his name in the title. Naruto to Boruto: Shinobi Strikers is planned for an early 2018 release on Playstation 4, PC and Xbox One.